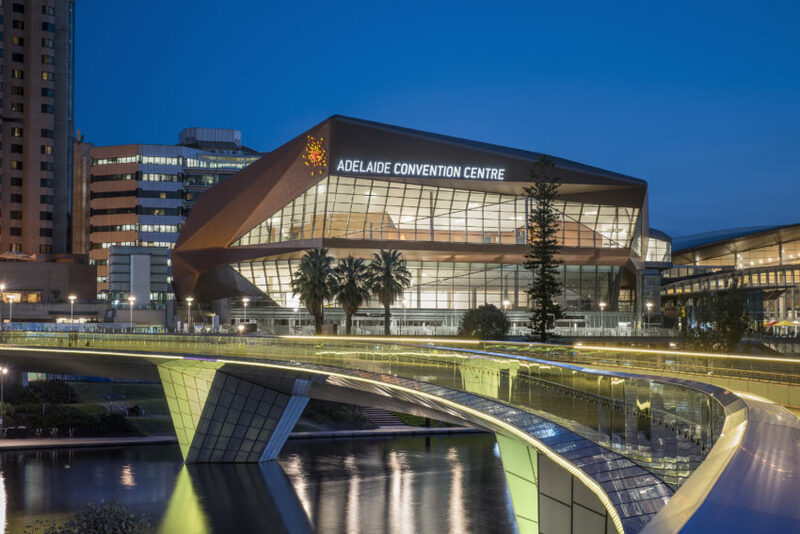 Already a leader in global sustainability, Adelaide Convention Centre has reinforced its leadership by becoming the joint first convention centre in the world to achieve the coveted EarthCheck Platinum Certification. The achievement represents ‘best practice’ in sustainability and reflects 10 years of continuous certification with the globally recognised EarthCheck program. There are just 34 properties worldwide to have achieved Platinum Certification, including only two convention centres. Since joining the global EarthCheck program in 2007, the Adelaide Convention Centre has consistently performed at ‘above’ best practice in several key areas of social and environmental actions. From sustainable construction to energy and water conservation, responsible sourcing, food redistribution, and participation in community initiatives such as OzHarvest’s ‘Think.Eat.Save’ and the Trees for Life revegetation program, the sustainability message is reinforced and integrated through all aspects of the ACC’s business and culture.